Many businesses trying to cut down on their carbon footprint and reduce energy bills are starting to look at heat pumps for a long-term cost effective solution to heating a busy office. According to the Energy Savings Trust last year, something like a ground source heat pump could save and make a business or household without a gas supply some £3,000 per annum. 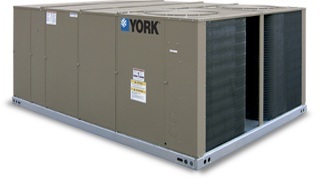 Heat pumps essentially move heat from one area to another. The most popular type is the Air Source Heat Pump that uses a small amount of electrical energy to transfer the ambient heat in the air outside your property and move it inside, where, at a higher temperature it can then be used for under floor heating, radiators or maintaining a supply of hot water. Other types of heat pump use the ground or water as a source of abundant free heat, but the principal is largely the same. Despite the initial cost of installing a heat pump system there are significant savings that can be made on your fuel bills if you are currently using electricity, oil, solid fuel or liquid gas to heat your premises. You will also be able to benefit from the new Renewable Heat Incentive initiative from the Department of Energy and Climate Change that pays you per kilowatt hour produced. Correctly installed by a qualified supplier, a heat pump shouldn’t need any regular maintenance and could last between 10 and 25 years or more. Heat pumps improve air quality, have low noise, low running costs, and can be used as air conditioning, cooling down the office environment when needed, and providing a controlled climate. Large heat pumps are being used more and more for commercial and other non-domestic premises including schools, sports centres, shops and offices. It is estimated that around 40% of CO2 emissions can come from commercial heating alone and finding new and innovative ways to heat premises is at the top of the list for many businesses. A heat pump delivers around 4 kWh of energy for every 1 kWh of electricity used to power it, which means they are 300 to 400% more efficient than electric heating alone. 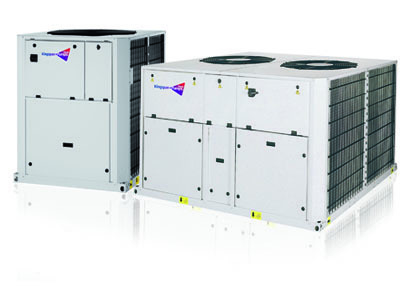 Whilst the cost of installing something like an Air Source Heat Pump will vary depending on the size and complexity of the commercial premises, there is no doubt that significant savings can be made. According to a Which? report installing a domestic Air Source Heat Pump can cost around £9-14,000 but save between £585 and £880 a year if being used to replace oil heating, possibly higher if it is replacing electric heating. There will, of course, be an initial cost involved that could be prohibitive depending on the size of your property and your business, and it will take a while before you start seeing the benefits of a reduction in bills as you pay off the investment, but once the break-even point has been reached there is potential for significant savings and a good ROI. 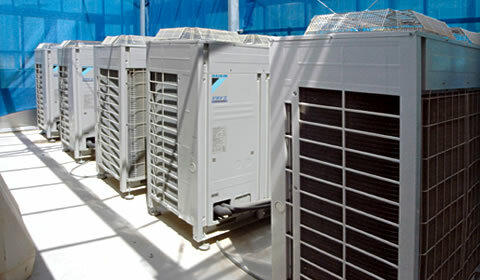 You will also need to check that your commercial property is suitable for installing heat pumps. For instance, with Air Source Heat Pumps you will require a suitable exterior wall or flat roof space to fit the external unit. A well-designed commercial heat pump system is more than capable of providing all the heating needs for a business and, in the long term, represent good value for money in savings from reduced energy bills and the income generated from the Renewable Heat Incentive, as well as helping commercial premises bring down that all important carbon footprint. Renewable Heat Incentive (RHI) is a Department for Energy and Climate Change (DECC) initiative which allows those who choose to install renewable heat sources in their property to receive payment per kilowatt hour (kWh) of heat produced. Phase 2 – payments for heat produced by domestic installations, which the DECC plans to introduce in spring 2014.